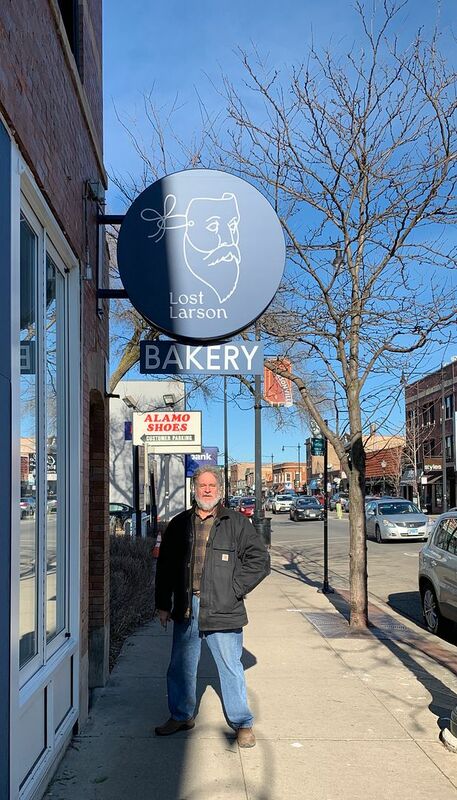 I had read about Lost Larson Bakery in Andersonville in the summer, just before they opened, and I had wanted to go, but it got pushed to the back of the line. Last week was finally the time. 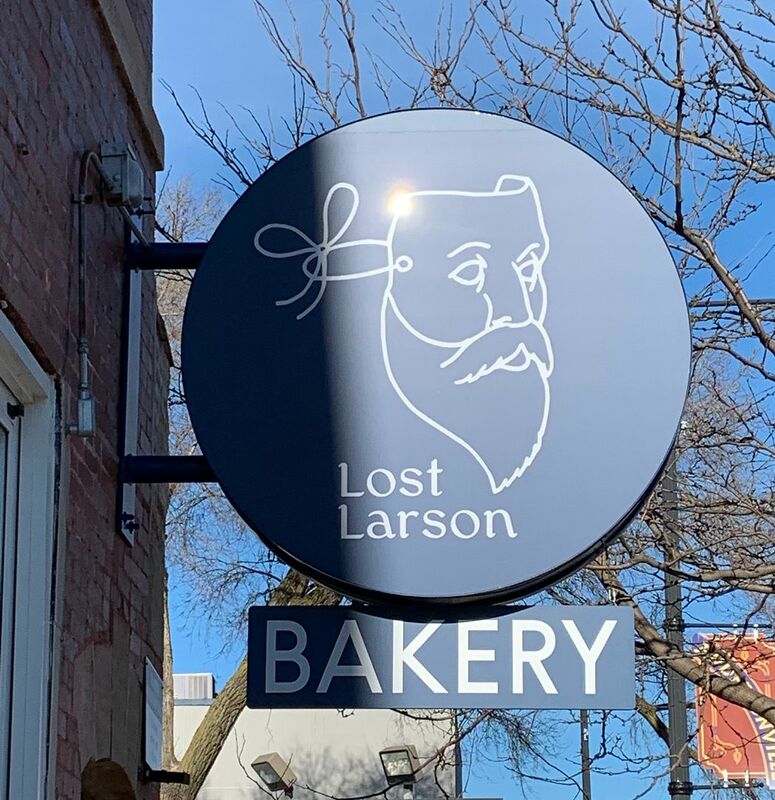 This is a very fine bakery. 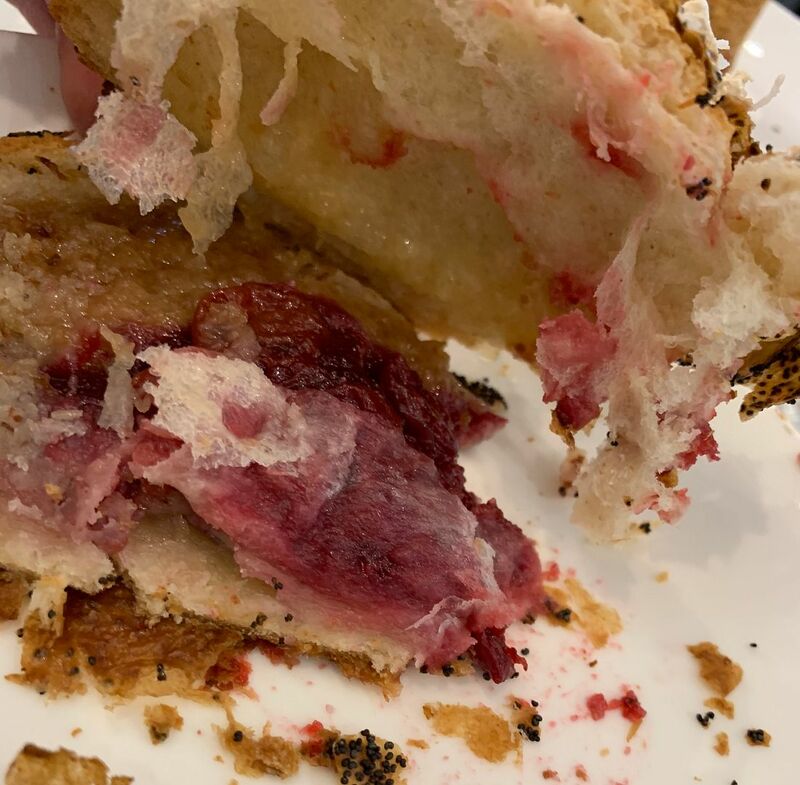 The chef and owner Bobby Schaffer led the pastry programs for Blue Hill at Sone Barns in New York and three star Michelin restaurant Grace, in Chicago. It was my good friend Russell who finally got me there. 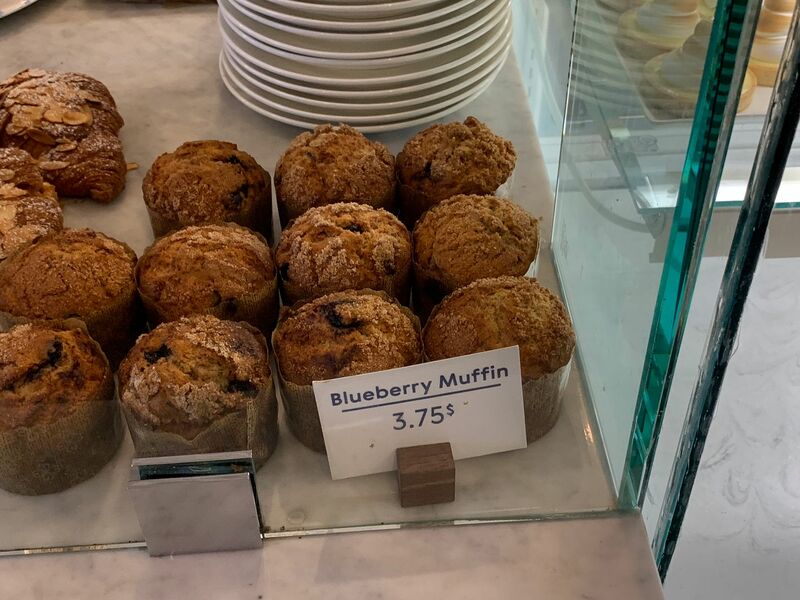 They have quite a large selection. 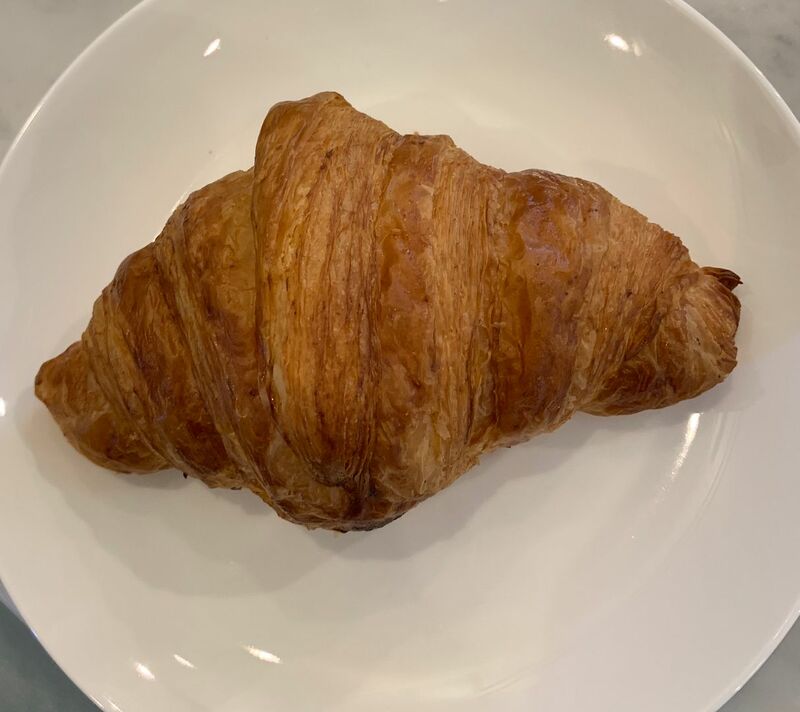 I started with a plain croissant. 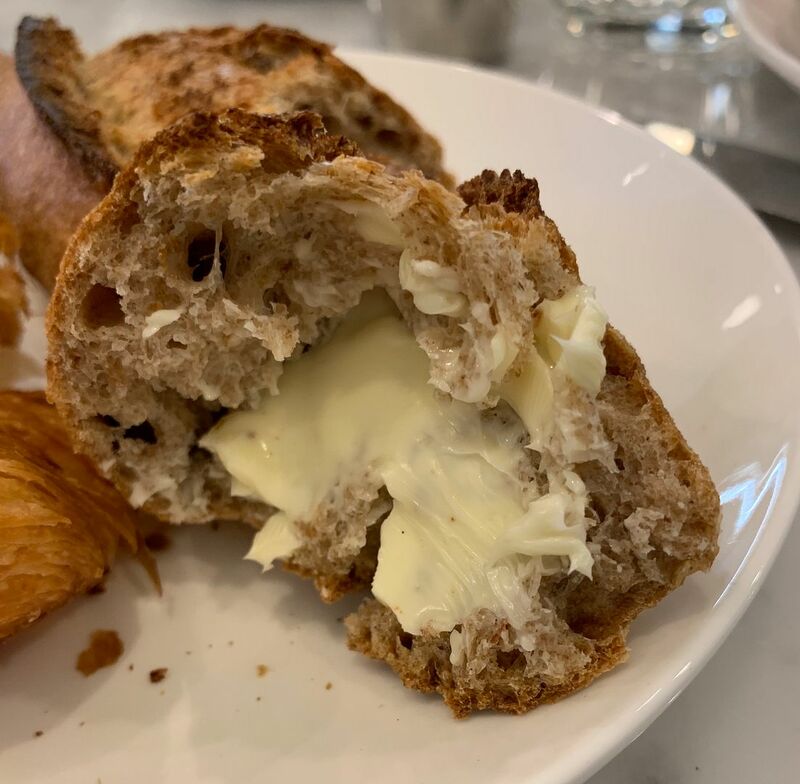 It was very good, very buttery. 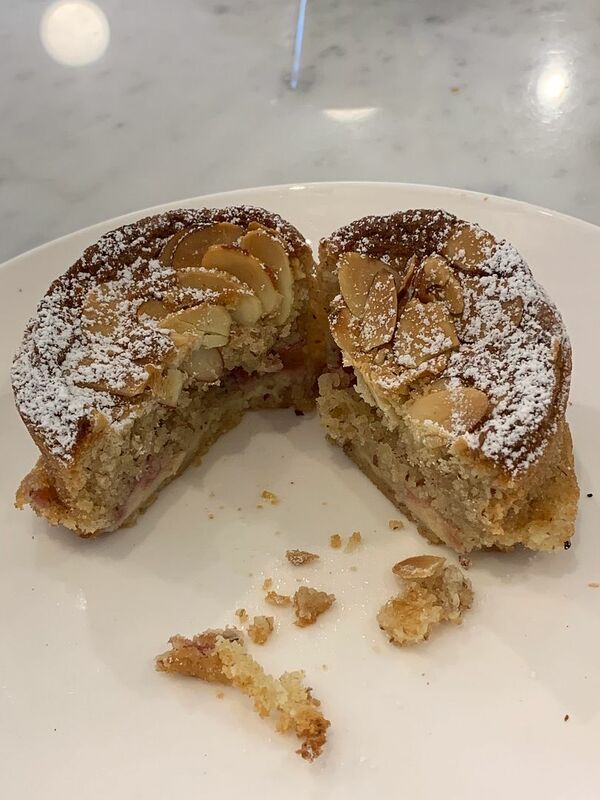 Next was a coconut cherry croissant. 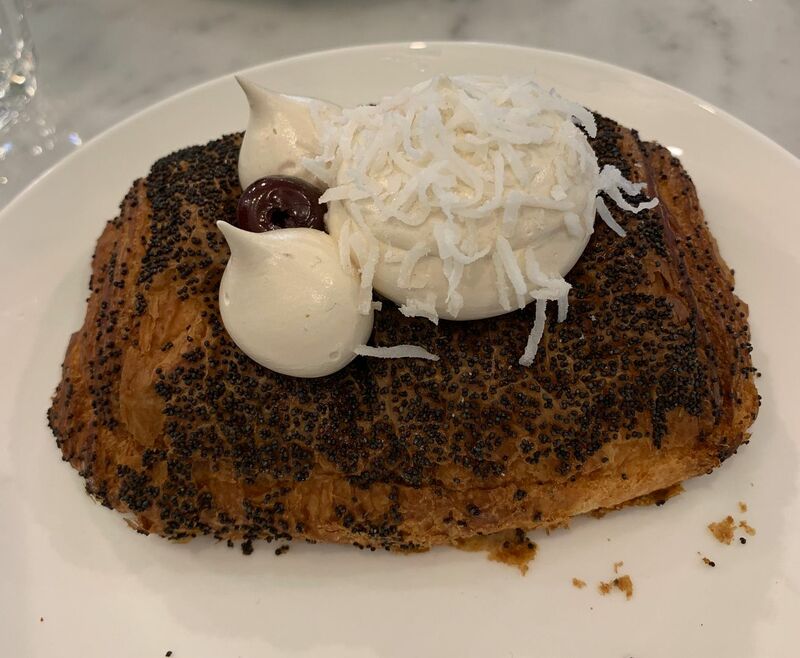 With a topping of poppyseeds and a cream toping which was a bit like meringue or even marshmallow. 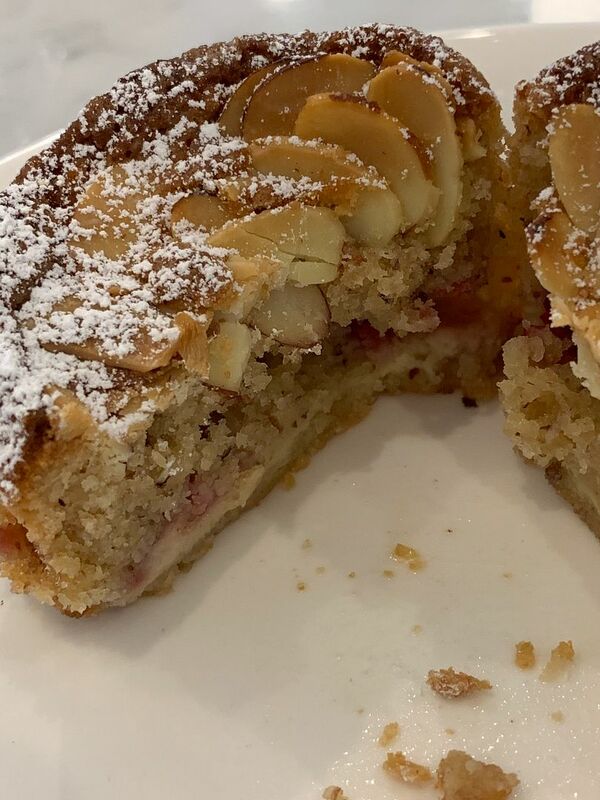 A layer of cherry filling and a layer of almond paste mixed with coconut. 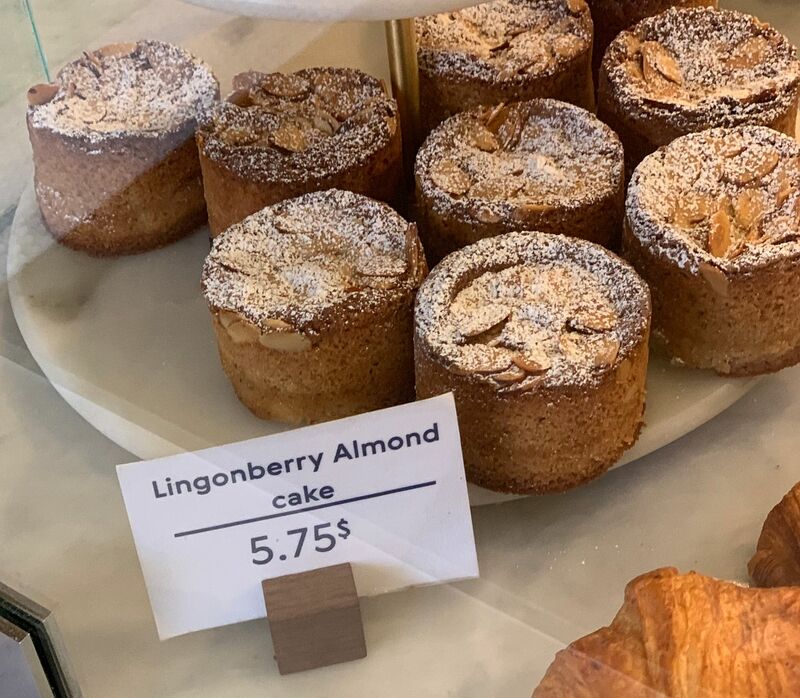 Next was a lingonberry almond cake. 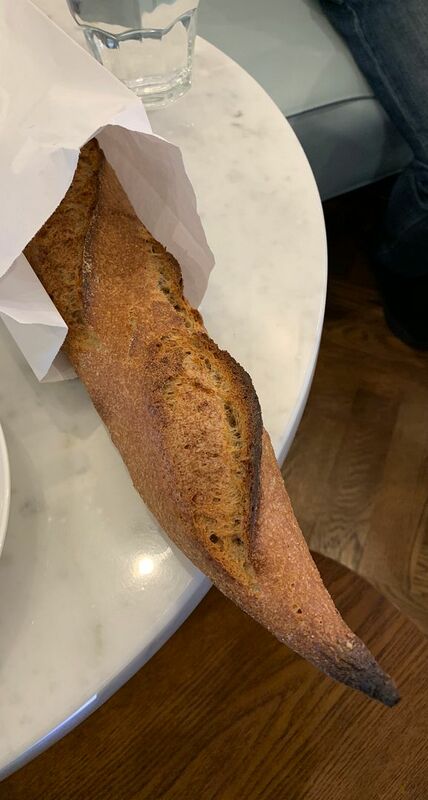 Our last selection was a whole wheat baguette with butter. 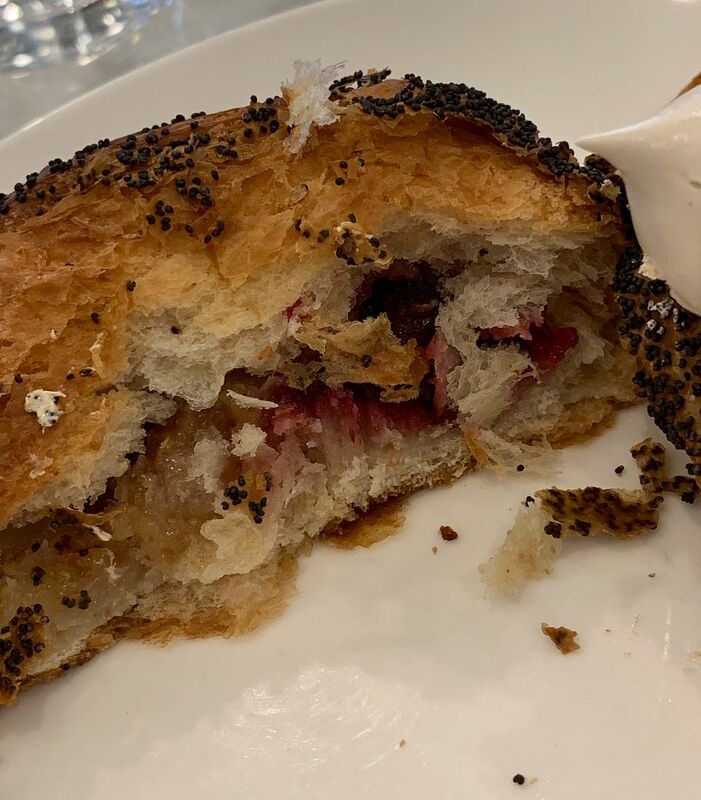 My favorites were the plain croissant and the baguette, although the others were very good also. Right you are Buddy....wowsa! This has all the makings of Saturday morning run....like this Saturday! 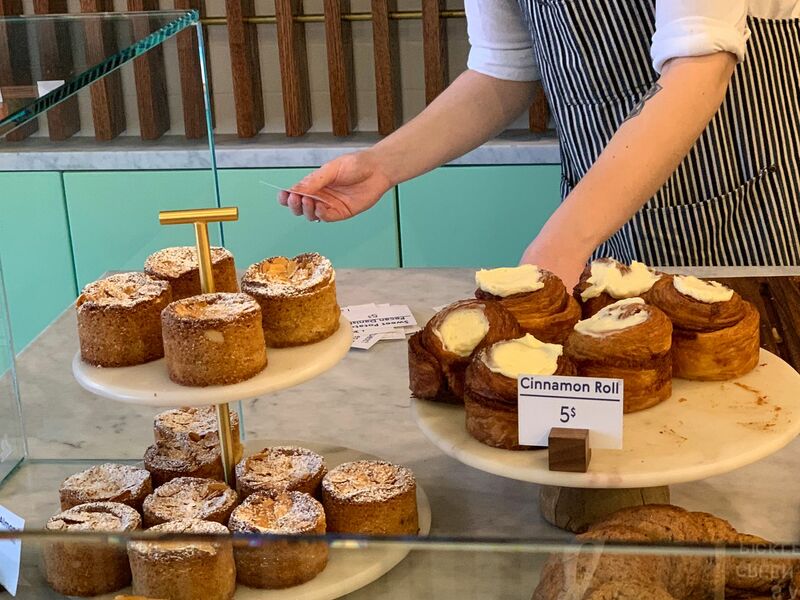 2019 brings new hours...looks like a 9:20am arrival will still have a large pastry selection and then at 10am, right into their weekend lunch service! Hmmm...this is the only Saturday this month I'm not working. Sounds like the rumblings of a meet-up. I guess I could make a 9:20 start. You don't mind being seen with me in my jammies, do you? 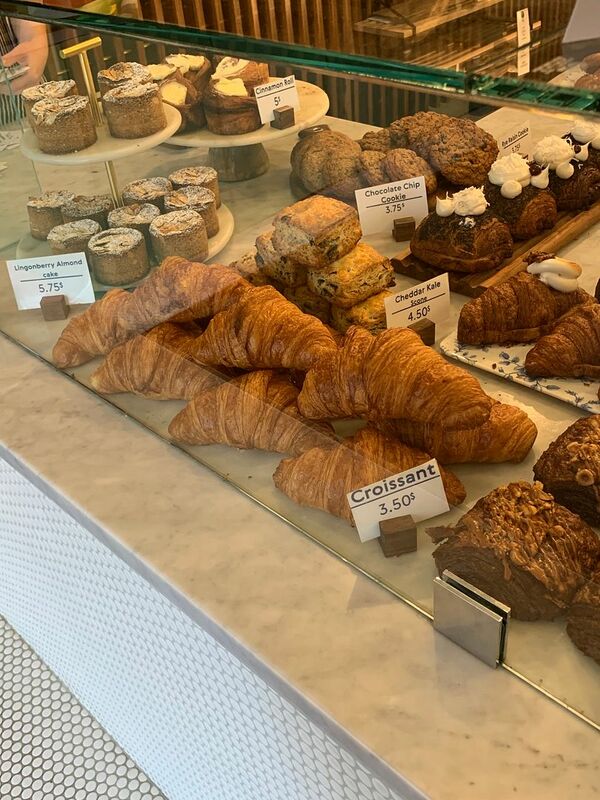 Great looking pastries, and I'd eat that whole baguette! Save the Date...let's talk Friday...looks good right now....mine have feet and a trap door....yours? Just regular, but with an awesome My Little Pony theme. I love those little guys. They poop rainbows, ya know. Saving the date, will do my best to be fully dressed upon arrival. Is this a serious thing? I should be able to be there by 9:20. I’ll need to take a break from preparations for my tour, leaving the next day. All set...we are good to go...9:20am it is, PJ's optional. I like David's thinking...3 stops, solid choices, get this train a running! 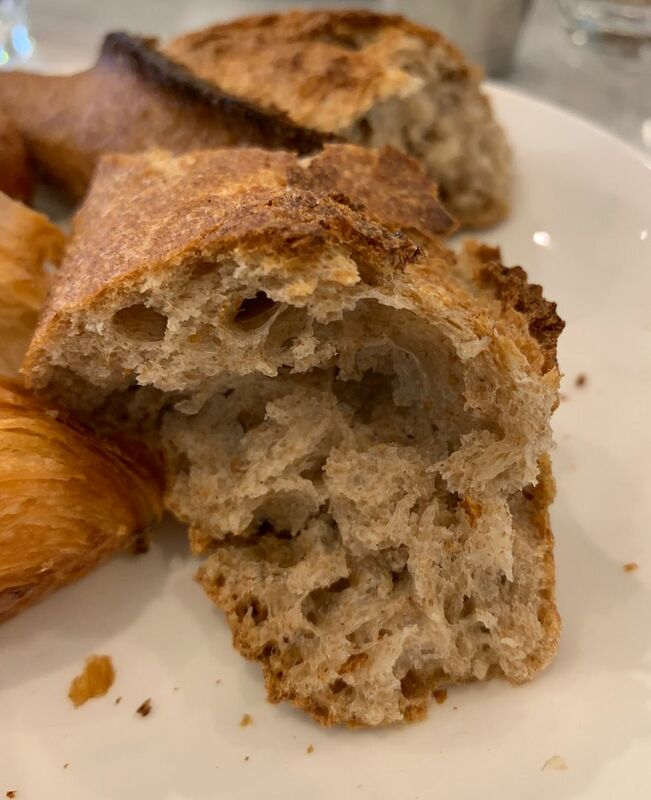 FYI: Some Aldi stores have their own in house bakery. 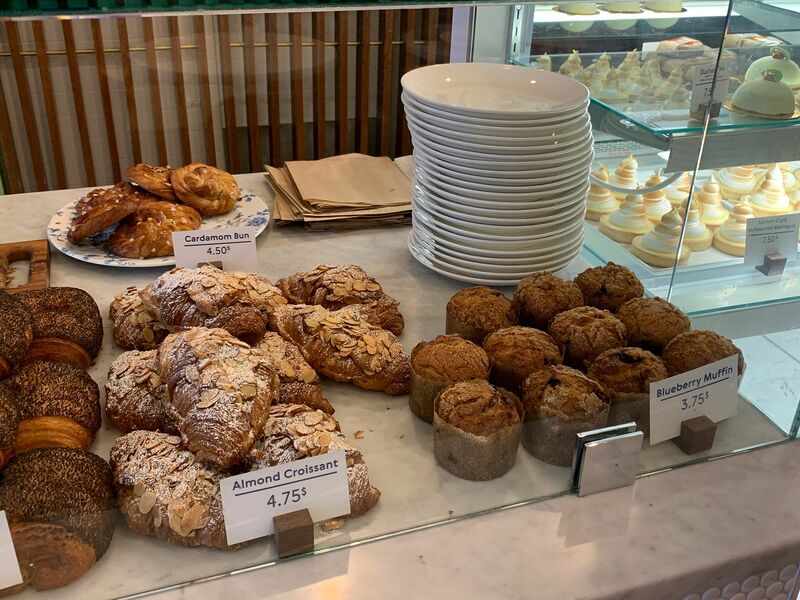 Those that do, offer an almond and chocolate croissant for only 99 cents that will stand head to toe with any croissant that I had while traveling through out Europe. 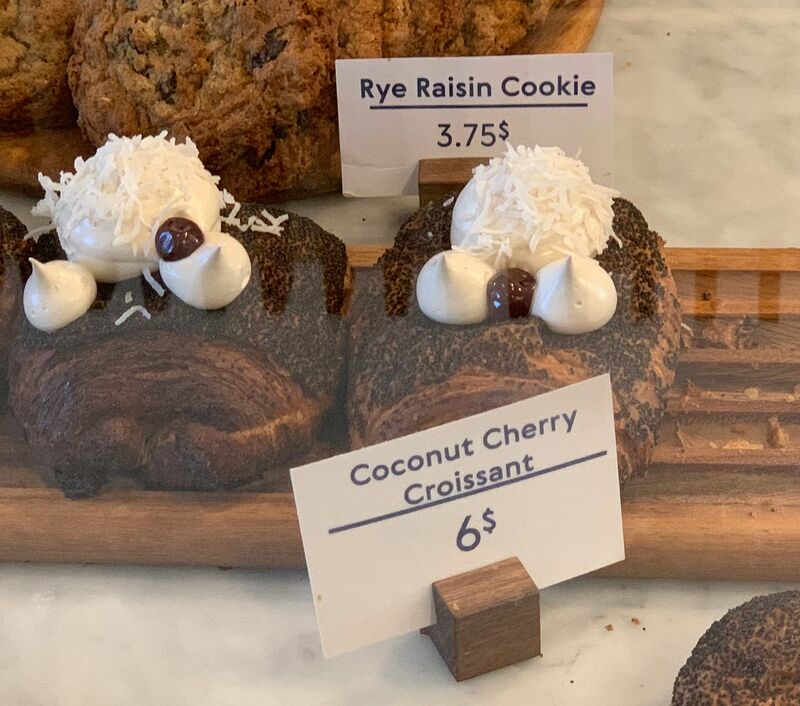 Buddy, I'm suprised that you're not aware of the Aldi croissants. You're the one that turned me onto Aldi's European chocolate bars. All set...we are good to go...9:20am it is, PJ's optional. OF course...based on past performance, you had to ask? I do not understand why you are even having this discussion. This could be a once in a lifetime opportunity for a certain talented cellist. 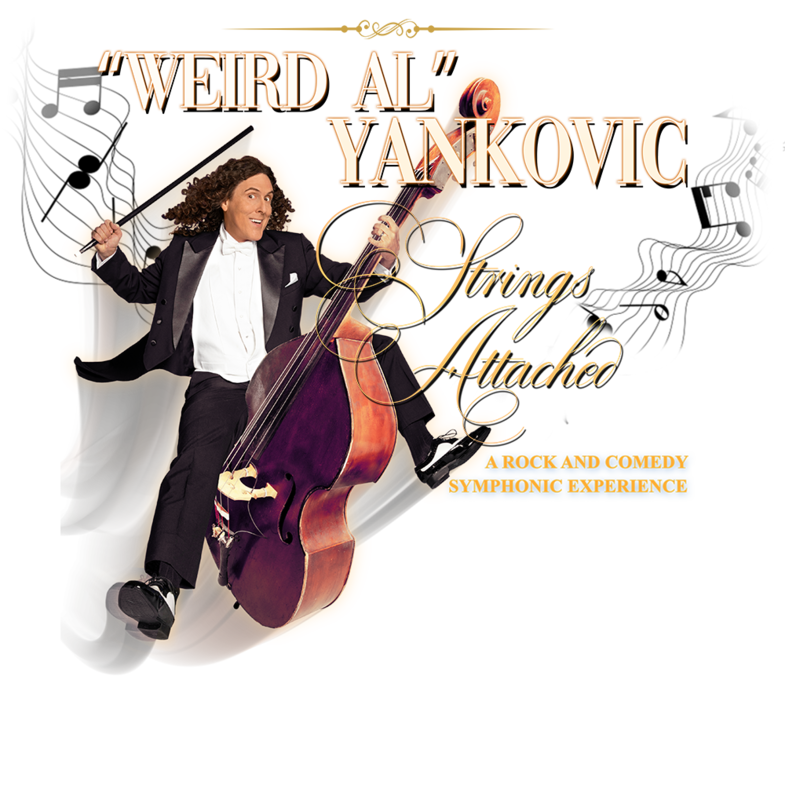 Weird Al is back to playing the hits and classics with his Strings Attached tour, a high-energy rock and comedy production, featuring his original band, costumes, props, a video wall and – for the first time – background singers and a full symphony orchestra. 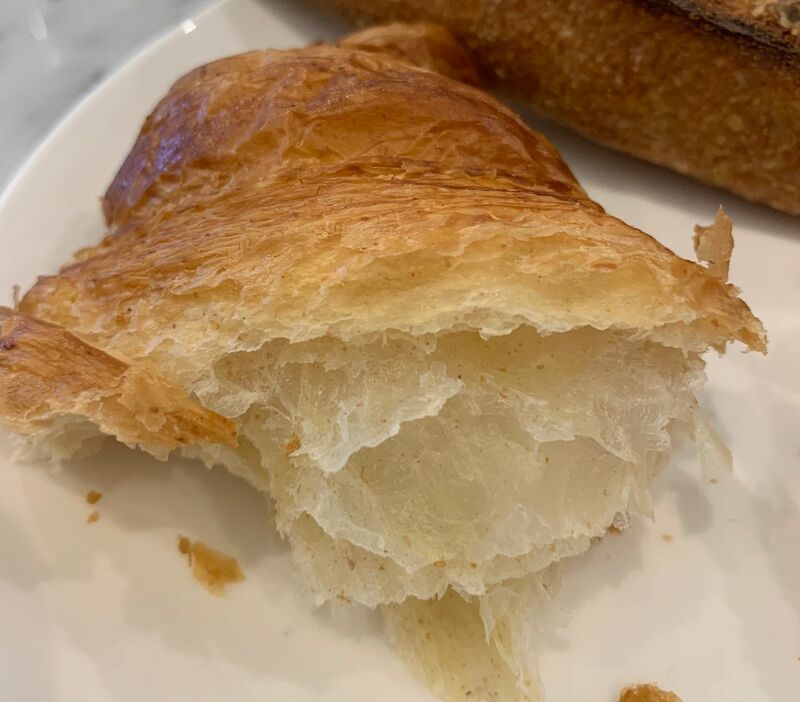 After hearing about the Aldi’s croissants a while ago I tried one at the few Aldi’s with bakery in my area in Batavia. Unfortunately, it didn’t match up with the descriptions and I didn’t even finish what I had bought. 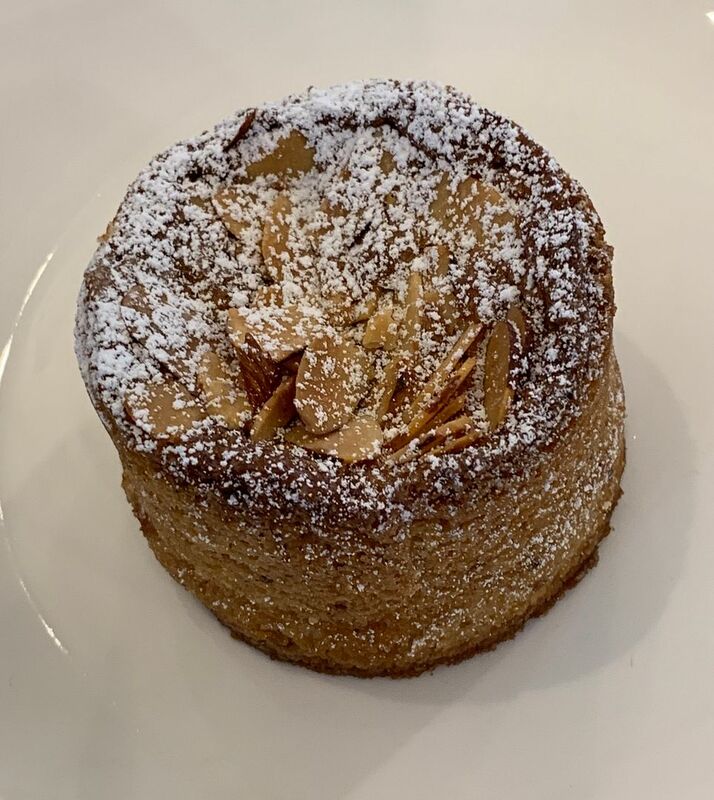 I think I got a plain and maybe also a chocolate, but I’m not sure. Perhaps the ones in Wisconsin are better? I am in for 9:20am regardless of the weather...I'll be there! Can't promise a 9:20 arrival, but will be there in time for the 10am lunch service. The Pickled Herring and Smoked Ham Sandwiches have the most appeal for me, followed by the Green Onion Avocado. 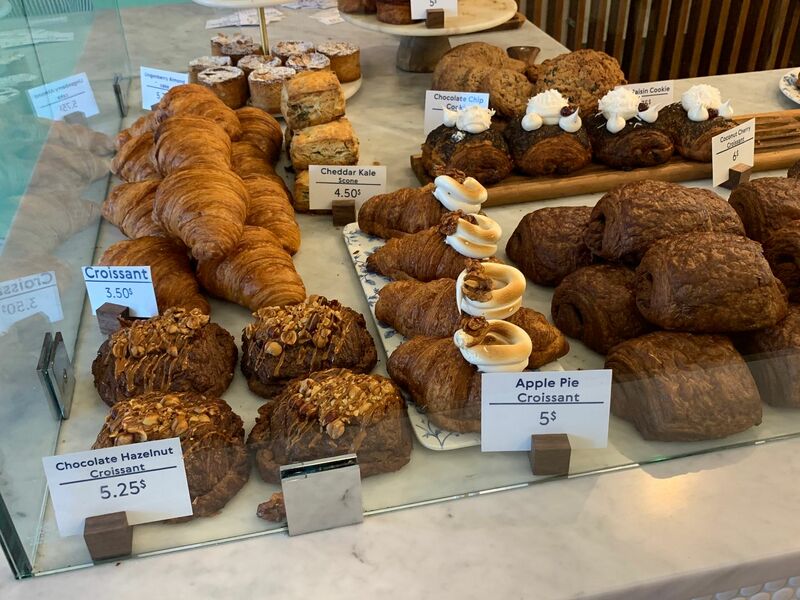 I'll take my chances on what's left of the pastries, but might ask you to snag a Chocolate Croissant for me, just in case. Oh, I'm aware, but Aldi's renovation project hasn't reached Des Plaines yet. We've still got a regular ol' store without the modern upgrades. 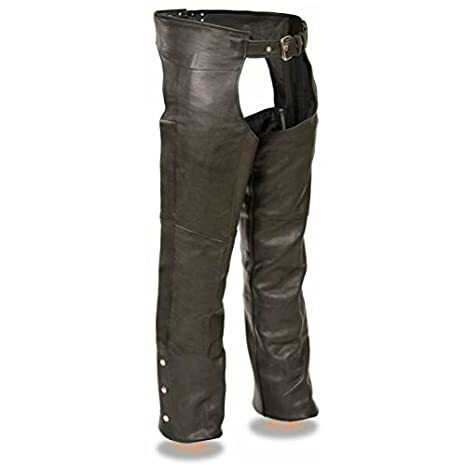 When they get here, I'll give 'em a try.